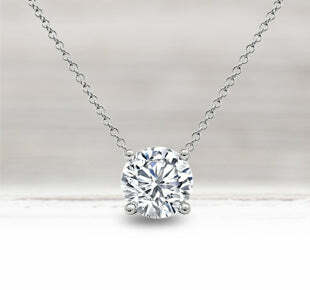 A diamond necklace adds that touch of sparkle that never goes out of style. From your most casual outfits to your black-tie gowns, a diamond necklace is a versatile piece of jewelry that adds the finishing touch to any wardrobe. From minimalist floating solitaire necklaces to colorful gemstone station necklaces to jaw-dropping diamond eternity necklaces and everything in between, we have an assortment of diamond necklace styles that are as unique as the women wearing them. There are many occasions when a diamond necklace makes a terrific gift - Valentine's Day, anniversary, birthday or just because! We also love the idea of treating yourself. In addition to solitaires and station necklaces, browse our enchanting selection for personalized gold necklaces and mothers pendants. 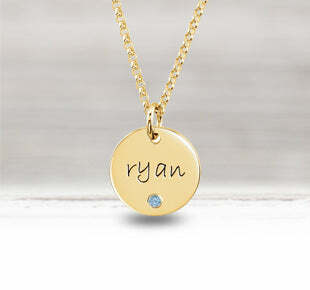 Personalized jewelry is a popular trend that is showing no signs of slowing down. Embellish your neckline with an initial pendant or monogram encrusted in diamonds for a piece of jewelry that is all your own. 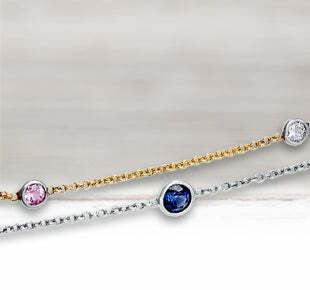 For a truly meaningful necklace, a mother's necklace strikes the perfect balance between style and sentiment. Looking for a style that lets you express different sides of your personality? We have lots of shapes and designs ranging from whimsical flip flops and bows to romantic hearts to nature-inspired butterflies, flowers and branches. 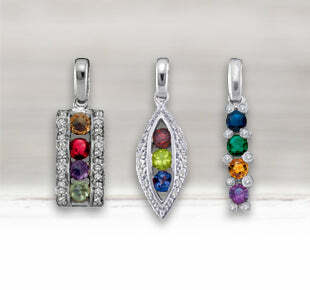 For a splash of color, try our pendants accented with precious and semiprecious gemstones such as blue topaz, amethyst, ruby, blue and pink sapphire and morganite. Looking for something dramatic and mysterious? 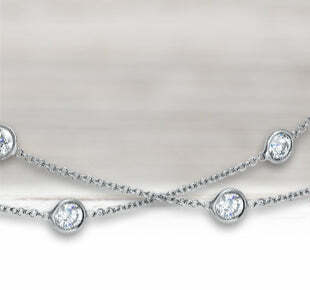 You will captivate with a black diamond adorning your neck. 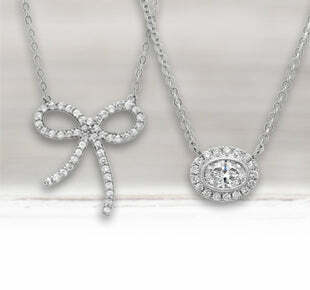 Our diamond pendants are exquisitely set in 14-karat or 18-karat white, yellow or rose gold as well as platinum. Many of our designs come in your choice of lengths, so you can wear them as a choker or as an elegant longer style. All of our quality diamonds are conflict-free and are available in different carat sizes, color and clarity grades and price points.